SDI Limited and its companies are a manufacturer and distributor of dental medical products and equipment. The dental medical devices and equipment marketed by SDI Limited is sold via authorised channels – through authorised distributors, wholesalers, and retailers meeting contractural requirements, and from company-owned and company-managed distribution facilities directly to the end customer. SDI Limited companies strictly control the design, manufacturing, distribution and advertising to support the highest level of quality of its products. In addition, many products of SDI companies are subject to strict regulation by the U.S. Food and Drug Administration, state and local regulatory agencies, and regulatory agencies of other countries world-wide. SDI Limited and its affiliates cannot assure patients and health care professionals and other consumers of the quality, integrity, or accuracy of products purchased through unauthorised channels or distribution points, including eBay. Because these products often flow through distribution channels that are not authorised by SDI or its affiliates, it is uncertain how such products are transferred, handled or stored. Medical / dental devices purchased from unauthorised sources have left the normal chain and may not be stored in conditions that meet manufacturers specifications. Improper storage and handling may alter the performances of these devices, which in turn may create a health risk. Medical devices purchased from unauthorised sources could be counterfeit or adulterated. Unauthorised distributors often purchase from many sources (e.g., major on-line auction sites, distressed merchandise), and the authenticity of the product cannot be verified. The Food and Drug Administration (FDA) as well as other regulatory agencies from other countries have the legal authority to investigate unauthorised sources of medical device products and to pursue criminal prosecution of individuals involved in the sale of stolen prescription medical devices. In the event of a recall, a manufacturer may not be able to perform an effective recall of product purchased from unauthorised distributors, creating a health risk. Please be advised that you are assuming the risk of product purchased from unauthorised channels and that the product you may buy be counterfeit, stolen, or adulterated. Distributing counterfeit, stolen or adulterated product may subject you to civil or criminal liability, including imprisonment and substantial fines. In order to ensure that your products are genuine you should purchase SDI products directly from SDI company-authorised distributors or from SDI Limited affiliates directly. SDI Limited has made a practice of selling its products under trademarks and of obtaining protection for these trademarks by all available means through its affiliates. SDI trademarks are protected by registration in the United States and other countries where its products are marketed. SDI considers these trademarks in the aggregate to be of material importance in the operation of its business. Anyone who uses SDI trademarks, including but not limited to the trademark of ‘POLA’, ‘RIVA’, ‘SDI’, and all other SDI brands, in connection with goods not made by or under the authority of SDI companies is liable for trademark infringement. In addition, anyone who produces, copies, distributes or displays SDI company copyrighted materials without SDI company written permission may be liable for copyright infringement. SDI and its affiliated companies cooperate fully with law enforcement officials. SDI companies take full advantage of criminal and civil legal remedies available to enforce their trademark rights. SDI companies are committed to protecting the health of the public which includes our committment to enforcing our intellectual property rights and products sold directly to the consumer through the internet, contravening SDI’s requirement to be used by a dentist only (all SDI products except POLA), or by or on the order of a dentist (POLA products). sites selling SDI products directly to the consumer. containing restricted items according to eBay’s policies, including the listing of prescription medical devices, prescription products and/or implantable devices. 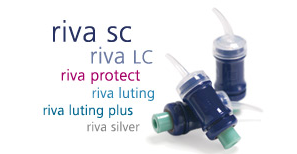 SDI products such as the POLA range, as well as all other SDI products, are prescription products to be used and/or supplied by dentists, and for example, RIVA range of products are dental restorative materials that remain on the tooth following a dental procedure. Listing and sale of these products and other SDI products on eBay are in violation of eBay policies. Your ability to post an auction o eBay does not indicate that sale of products in question is legal, authorised, or in compliance with eBay policies, as eBay has indicated that it cannot conduct a comprehensive pre-screening of all auctions for potential violations. We work diligently to ensure that all sale of our products that contain infringements of our intellectual property, or which violate eBay policies, are removed from eBay. In the event that we or eBay do not proceed against another infringing auction does not justify the continuation of your auction. If you believe that there are other active listing on eBay that involve the products of SDI that do not meet eBay auction guidelines, please feel free to send us the listing number and we will work with eBay to investigate. If you decide to re-list an infringing auction or continue to offer unlawful or violating items, you risk civil or criminal liability. In addition, eBay tracks member violations and can issue temporary and permanent suspension of your account as a repeated offender. For questions, please send inquiries to info@sdi.com.au. In all email correspondence, please include your contact information so that we can respond to you as required.